Walker is a Partner at Trinity Capital Advisors and an 18-year industry veteran. He’s led the acquisition of approximately $2.3 billion (18 million square feet) of real estate assets across office, industrial, and mixed-use asset classes in competitive markets across the country, including Charlotte, Raleigh-Durham, Miami, and Nashville. 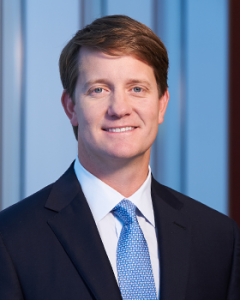 Walker develops and oversees Trinity Capital’s joint-venture equity partnerships with respected institutional owners including Starwood Capital, Goldman Sachs, and AIG, while managing the firm’s growing investment portfolio across the southeastern United States. Walker has proven experience in capitalizing on off-market investment opportunities, exemplified by the 6.9 million square-foot, 63-asset office portfolio acquisition across four states (the Duke Real Estate portfolio). Prior to joining Trinity Capital in 2008, he handled acquisitions for BayNorth Capital in Boston. He earned a master’s degree in real estate development from MIT and an undergraduate degree from the University of North Carolina at Chapel Hill. Walker serves on the board of directors of The Relatives, is actively engaged with the USO of North Carolina, and is a member of the Urban Land Institute.